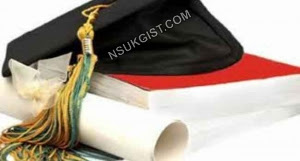 The Federal Government of Nigeria has sacked Vice Chancellors (VC) of 12 Federal Universities that were established by the administration of former President Goodluck Jonathan. Also affected by the sack is the Vice Chancellor of the National Open University of Nigeria (NOUN), Professor Vincent Tenebe. According to the statement, the VC of NOUN, Professor Tenebe, was replaced with Professor Abdalla Uba Adamu of the Department of Mass Communication, Bayero University, Kano, while the substantive VC of the Federal University, Dutse, Jigawa State, Professor Mohammed Kundiri, was transferred to the Federal University, Wukari, Taraba State. A former Head, Department of International Relations at the Obafemi Awolowo University, Ile-Ife, Professor Kayode Soremekun, was made the new VC of the Federal University, Oye-Ekiti, Ekiti State. The Federal University, Birnin Kebbi, Kebbi State, has Professor Auwal Yadudu of the Faculty of Law, Bayero University, Kano, as its new VC; Professor Fatima Batoul Muktar of the Department of Biology, North West University, Kano, is the now VC of Federal University, Dutse, Jigawa State. A lecturer in the Department of Pharmacy, Ahmadu Bello University, Zaria, Professor Haruna Abdu Kaita, was named the new VC of Federal University, Dutsin Ma, Katsina State, while Professor Andrew Haruna of the Department of Linguistics, University of Jos (UNIJOS) became the VC of the Federal University, Gashua, Yobe State. nother lecturer in the Department of Pharmacy, ABU, Zaria, Professor Magaji Garba, was appointed VC of Federal University, Gusau, Zamfara State while Professor Alhassan Mohammed Gani of the Institute of Maritime Studies, Federal University, Kashere in Gombe State, was elevated to the position of VC of the institution. A lecturer in the Department of Physics, Federal University, Lafia, Professor Muhammad Sanusi Liman, is now the VC of same institution. Professor Angela Miri of the Linguistics Department, UNIJOS, was made the VC of Federal University, Lokoja, Kogi State.